Kinross values student and recent graduates’ contributions to our operations. Our summer students get a hands-on learning experience to ensure they make the most of their placements. Find out what Emily Griffiths (Geology) and Emma Biancolin (Mine Planning) have been doing this summer at Kinross. Emily recently graduated from McGill University in Earth Sciences and is working on projects ranging from coding to geo-technical issues in our geology department. She is creating a database to integrate all of our data on tonnage, grade and ounces at all our sites around the world, which will allow Kinross to better track data and report trends. “This is an incredible experience. I have already learned two new program coding languages, and more about mining in general,” explained Emily, who has extended her position with Kinross until December. Emma, a fourth-year mining engineering student at Queen’s University, is working in our mine planning department. Under the leadership of Ned Jalil, Senior Manager, Mine Planning, she is involved in stoping, pit design and brownfield projects. Emma has had the opportunity to create some underground pit designs that could be used in the future. 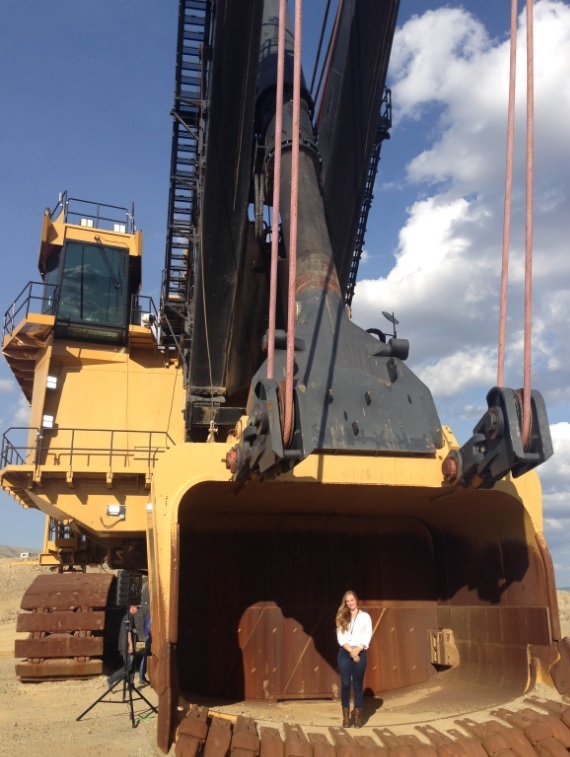 “I’ve really enjoyed my time at Kinross and learned a lot of first-hand knowledge about mining. Through the lunch and learn series, I was also able to hear more about how the different departments at Kinross work,” said Emma. Emma is returning to Queen’s to finish her degree and hopes to work for a Canadian mining company when she graduates.